The soft susurration of waves lapping onto the beach, the cry of a gull in the distance, and you running out to meet the morning surf: If this sounds like the perfect vacation to you, look no further! 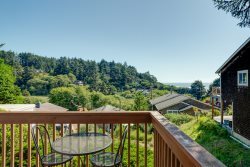 Below you will find a comprehensive list of all of our Oregon Coast ocean view beach rentals. Browse and book your favorite today!